Is your biggest threat behind your POS? 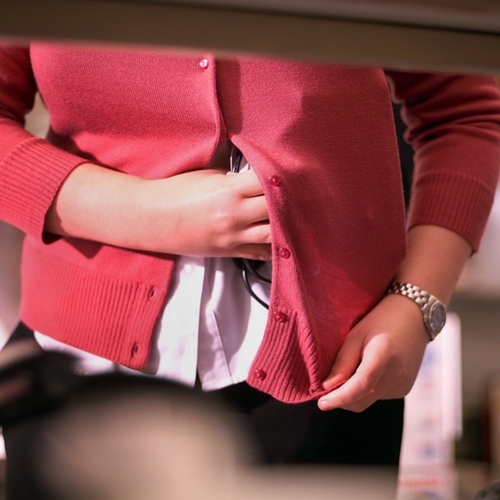 Shoplifting can cause serious issues in a store, especially if left undetected. When retail store owners and other businesses think of securing their data or products, many think of hackers, shoppers that may be apt to steal and cyber crimes. What many may not think of, though, are their own employees. According to the 2015 Global Retail Theft Barometer, “shrink” increased in the U.S. from 1.28 percent of sales during 2013-2014 to 1.97 percent during 2014-2015. Shrink is comprised of shoplifting, employee or vendor fraud and administrative errors. It rose on a global scale as well, from 0.94 percent to 1.42 percent over the same time period. Shrink resulted in more than $123 billion in lost revenue globally, most often attributed to a decrease in actual money spent on combating and reducing shoplifting and employee losses. “One of the common, atypical causes of increased shrink risk is a decrease in spend related to countermeasures, tactics, tools, and capital dedicated to defending against loss. That went down this year and, as a result, it’s like a seesaw if you will, your spend goes down and shrink goes up,” said one of the study authors Ernie Deyle. Dishonest employee theft accounted for 39 percent of shrink globally, more than external theft. In the U.S. dishonest employee theft accounted for 45 percent of shrink during 2014-2015. Last year, customer shoplifting accounted for 39 percent of global shrink, as compared to 28 percent of employee theft. U.S. respondents said that 46 percent of their yearly losses occur during the winter, nearly twice as much as other seasons. Using an effective point of sale system can help curb employee and shopper losses. By maintaining proper purchase order and inventory records, management can track supplies, establishing any discrepancies as soon as they occur. Take charge of your store security today with a point of sale system from Visual Retail Plus.